Summer 2012 has been a momentous season for the mobile computing industry. In addition to marking the fifth anniversary of the Apple iPhone, we have also seen new product announcements from two of Apple’s major competitors, with both launches threatening the industry status quo. Google and Microsoft and introduced new tablet computers that have tilted the landscape of the mobile business. And where does printing fit in with these new machines? As we have noted in the past, mobility represents an opportunity and a threat to printing and imaging, and while we cannot do more than speculate about the Microsoft Surface tablets and their printing capabilities, as the firm’s June announcement promised fall availability (October 26 has been recently confirmed), with only relatively high-level product details, including printing. But we can report from first-hand experience that the Google Nexus 7 tablet offers robust printing, virtually right out of the box. 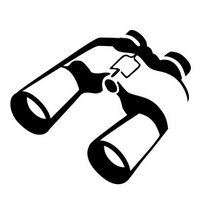 On any number of occasions, I have used this monthly column (Jim Lyons Observations) as a window to observe the ever-changing mobile environment. In my opinion, the biggest mobile computing landmark for me personally as well as for the computer industry was the 2007 introduction of the original Apple iPhone (see “HappyFifth Birthday, Apple iPhone! (But iPhone Printing Is Not Quite as Old)”). As a user, I was behind in the Smartphone category, never having used a RIM BlackBerry, so my purchase of one of the first Apple iPhones caught me up in a hurry. And of course, at that time, with no printing solutions available, I was open to musing about when and if Apple iPhone printing would become a reality (there weren’t even any apps then, after all, except the built-in Weather, Stocks, etc.). Of course, several iPhone generations later we have seen a continuing parade of third-party print solutions from independent software vendors and printer OEMs (see “iPhone Printing, Revisited”,) as well as a built-in solution that came about after Apple expanded its mobile computing line with the iPad. This solution was, of course, AirPrint, which came about with a new Apple iOS version in late 2010. We have also followed Android phone and tablet computer devices powered by Google’s competitive operating system and tracked numerous Android printing solutions, including those among the cloud. Which leads us to 2012 and the initiatives by Google and Microsoft and both firms’ attempts to get in the thick of the iPad-dominated tablet computer game. Each company, in early and late June, respectively, threatened to change the landscape by competing with Apple and others and, at the same time, redefine supplier/customer relationships, as both software giants attempt to become and stay involved directly with mobile and tablet computing end-user customers. Google also launched a new product this summer, based on the firm’s Android operating system (in this case, the flavor code-named Jelly Bean), at the Google i/o Developer Conference in late June. Though announced nearly a month after the Microsoft Surface, Google beat Microsoft to market with July availability and like with many of the other latest mobile devices, I was among the first to buy one. 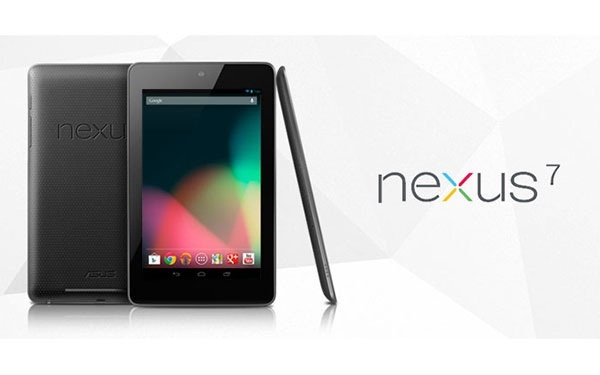 The Nexus 7 is a 7-inch tablet computer starting at an aggressive $200 price point that builds on the strong ecosystem of Android and is manufactured by Asus, but branded and supplied by Google. 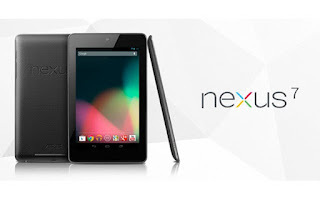 Physically the Nexus 7 is very similar to the Amazon Kindle Fire, which is also built on an Android platform but designed to be a Kindle Fire first, and is a limited-version Android device, meaning that Amazon limits the Kindle Fire’s ability to use the wide range of Android Apps. 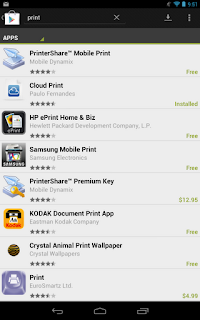 As for the Nexus 7, building on the Android installed base and unlimited access to hundreds of thousands of apps, it is no surprise there printing capabilities are easy to come by, via apps and the Android Apps Market, recently renamed the Google Play Store. And even if printing is not built-in in the most literal sense, in effect Google provides the next best thing. 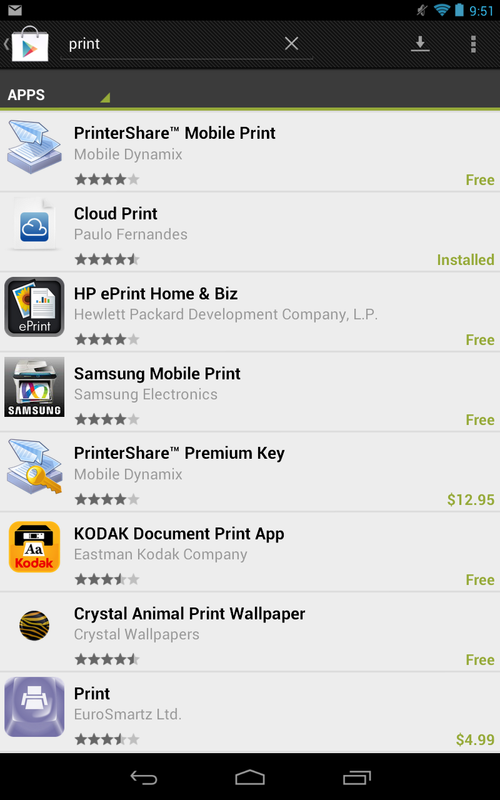 A search of the store yielded familiar names, and the leading contender for easy and powerful printing is none other than Google Cloud Print; http://en.wikipedia.org/wiki/Google_Cloud_Print (GCP). Thanks to CNET and Jason Cipriani for some helpful tips (see “Five great tips to get you started with the Nexus 7”, and “How to print from the Nexus 7”). Within minutes of getting my Nexus 7 fired up, I had downloaded the GCP app, provided free with ads, for a sub-$2 “buy the developer a cup of coffee” charge (see illustration). (A Google Play Store credit of $25 came with my $213 (including shipping) Nexus 7.) 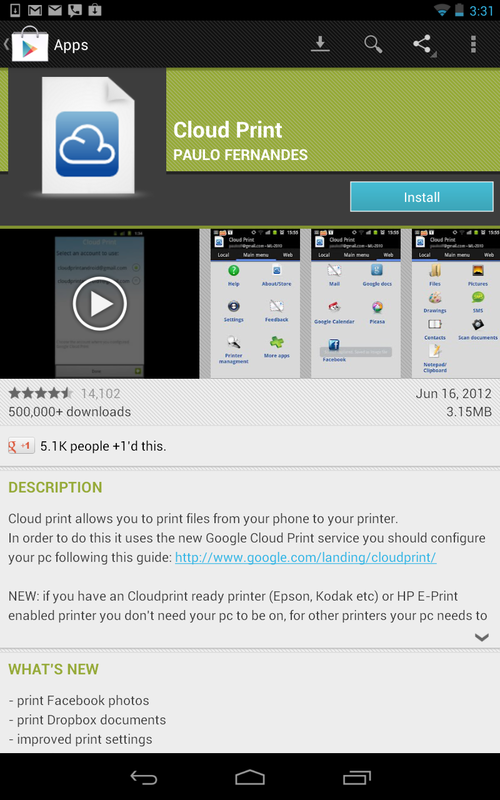 The popular Cloud Print app (with more than 500,000 copies downloaded according to its Play Store listing) is a clean, very usable implementation of GCP, and I had little or no trouble printing from my Nexus 7 to several different printers. In fact, like an official at a sporting event, my experience proves once again that good printing should be more or less transparent—only mistakes or problems draw much attention to it! I have enjoyed experimenting with the various mobile platforms, including some of the e-readers like Amazon’s original Kindle and the aforementioned Kindle Fire, which is thought to be the target competition of the Nexus 7. I will continue to keep a watchful eye on the mobile categories, and of the few things I am sure about when it comes to this dynamic market area, my new Google Nexus 7 won’t be my last!